Explore the superbly balanced vintage musicality of the Celestion V-Type in a 1×12 open back cabinet configuration. 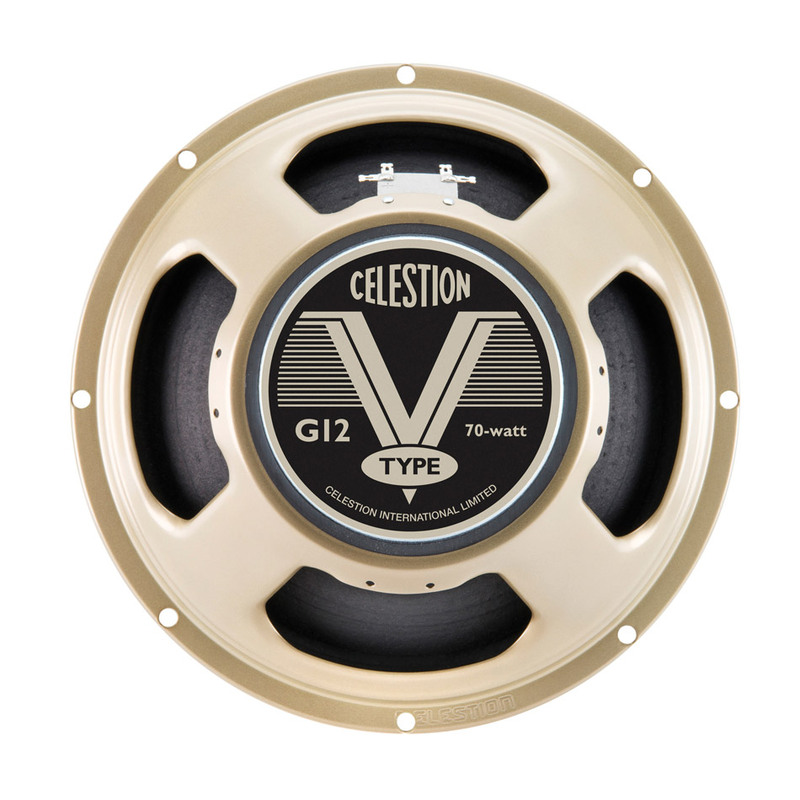 The V-Type perfectly encapsulates Celestion’s vintage speaker heritage combined with our commitment to innovative speaker design techniques and materials. Now you can explore the authentic tones of the Celestion V-Type at home, in the studio or live with the V-Type speaker IR. In this 1×12 open back cabinet impulse response, the V-Type has been recorded with 3 different pro-quality microphones – Shure SM57, Royer R-121 and Sennheiser MD421 – each in 6 different positions, referred to within the files as Fat, Thin, Balanced, Bright, Dark and Dark 2. In addition, you receive three more recordings using Neumann TLM 107 room mics – Left, Right and Stereo – and 8 mic mixes. All files are in .WAV format for maximum compatibility with a wide range of popular plugins and amp modellers.